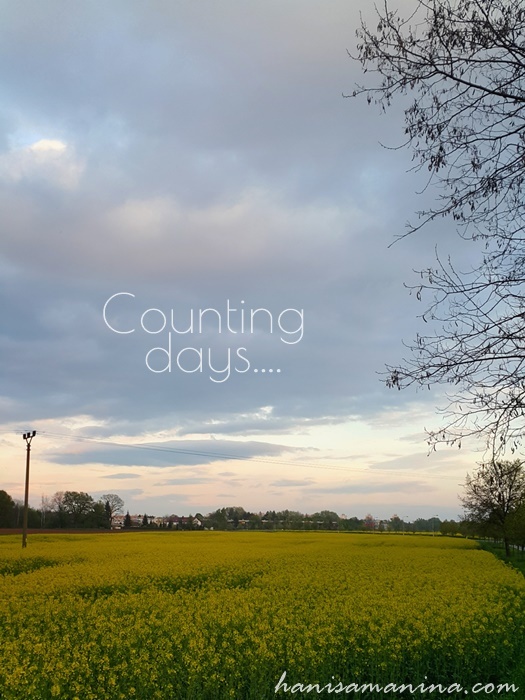 A thing to look forward in May is definitely rapeseed field! :) And it is the time! 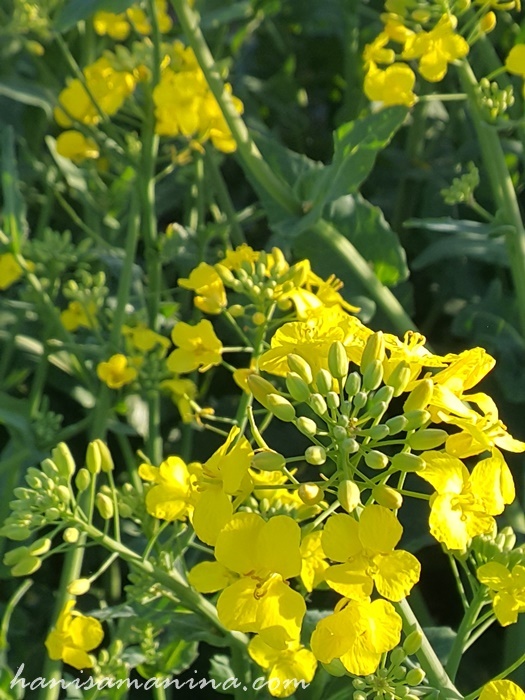 I posted a blog post about rapeseed last two years, you can check it H E R E.
Somehow, I am still confuse the differences between canola and rapeseed. They are both plant-based cooking oils that are originated from the same breed with slightly different chemical properties. From what I read, canola is created from rapeseed after removing two undesirable components via genetic breeding. In Czech, among Malaysians we don't call these bright yellow plants as canola, but more to rapeseed. Canola is more famous in USA & Canada, even canola is combination of "Canadian" and "Oil Low Acid" - CanOLA. 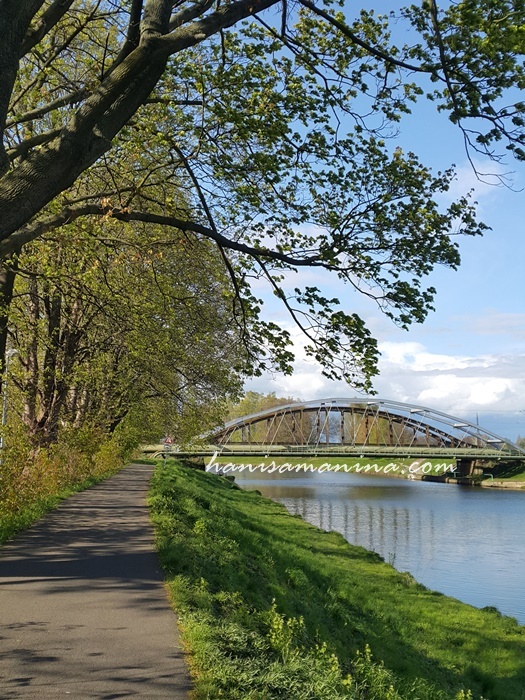 Last Thursday (11/5/2017), some of us decided to have a walk along the river. Studying can be tiring so much when we literally do revision all day long except walking to the toilet and daily prayers. Since the weather was nice that day, why not to have a photo shoot sessions with the rapeseed. Hehe. Do you guys know what is the main product of rapeseed? I think, palm oil is very limited here (I can't see any palm plantation anyway), but rapeseed oil is one of the most famous one used by Czechs, other than sunflower oil. The seeds are cleaned in vibrating sieves. At the same time, foreign materials like plant pieces are filtered out. These plant pieces can be further processed as animal feeds. The seeds are then passed through a magnet - to remove any metals. The seeds are passing through a roller mill - to crush into thin flakes. The thin flakes are then squeezed with high pressure to get the oil (40% of canola seeds are oil). The remaining of flakes are once again processed to get the oil. Flakes are then formed into animal feeds, again. Oil is then centrifuged (spin) to clean and remove any natural impurities. The natural impurities are sent to soap manufacturers (maybe to make soaps?). The oil is cooled to 5 degree Celsius to thicken the waxes. (Canola oil is originally clear, but it may contain natural waxes that make it looks cloudy). Waxes then can be filtered out and can be used to produce vegetable shortening. After the canola odor is removed, the oil is finally refined and ready for bottling. 9 days left T_T palpitations. A reminder to myself, it is very encouraged to help people but please check our priorities. If we are in situation that will not allow us to help with that specific thing, don't. Learn to say no, politely. Check our priorities. Lesson learned. Take care of our own heart, if not us to take care of it, who else? p/s - sorry, I am on hiatus. Will be back soon. After completing my elective / practical (whatever it is called) in HUSM, it's time to go home. 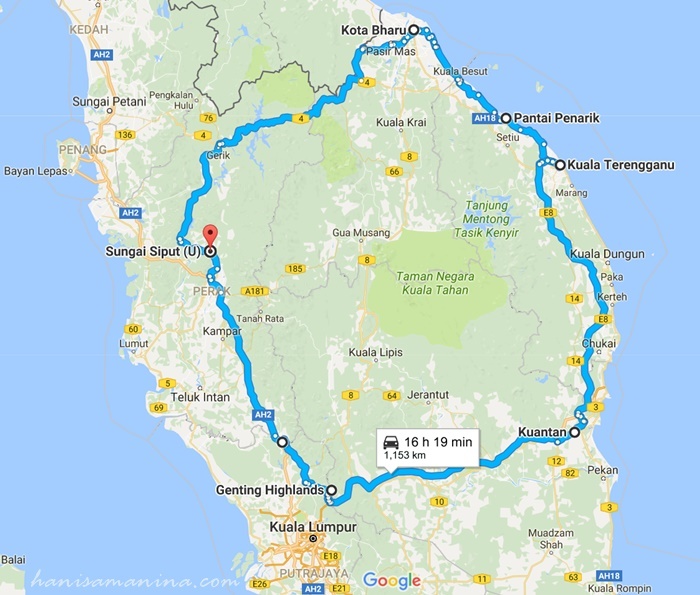 Instead of taking the usual route; Kota Bharu - Jeli - Gerik - Sungai Siput, my family and I decided to take the other way around. It was never a mistake. 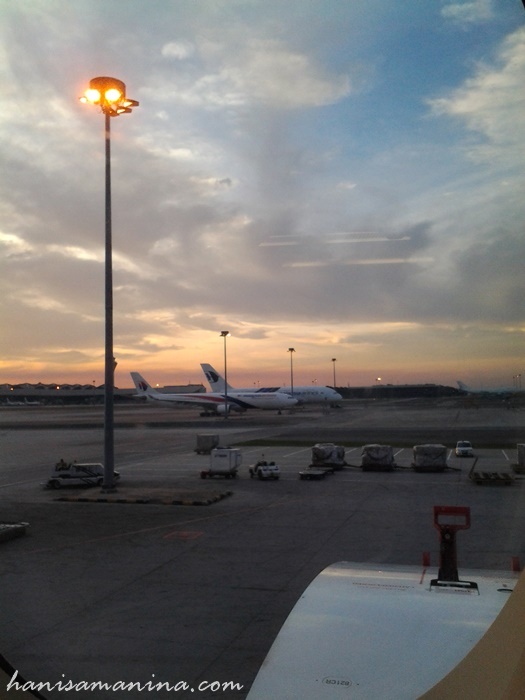 At least, I managed to go to Kuantan, finally for the first time! Too many reasonable souvenirs to take home. All of us can drive so driving was not a problem and the car itself is an automatic car - which make the trip easier. My turn of driving was always on the highway. Haha. 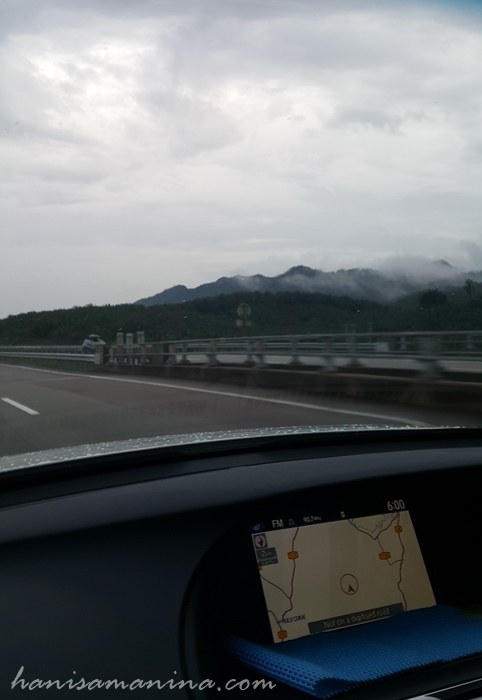 I was not encouraged to drive on complicated, dangerous routes like Karak Highway, Genting Highlands etc. Naah, never mind. I have Abang Ngah to take over the car if my dad feel asleep. It was raining that Friday morning. We still went out to Pasar Siti Khadijah to buy some dry pre-packed keropok and to have brunch. Not so many people there yet, maybe because of the weather or maybe due to Friday. At the food court, I ate a plate of rice one with a big squid, a scoop of vegetables, I was charged RM 15. It makes sense that the squid was expensive as my mother's meal was only RM 5, she didn't take the squid. Do you know what are differences between squid, cuttlefish and octopus? 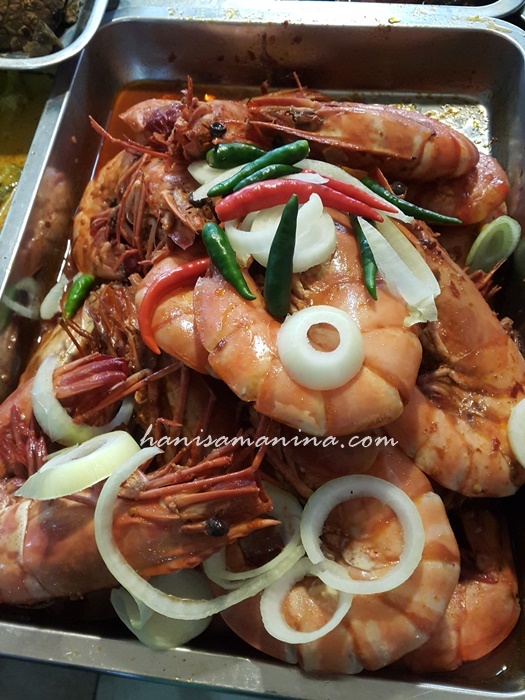 They are not fish but included in mollusk family of seafood. Octopus has round head meanwhile squid and cuttlefish have triangular head. Cuttlefish is different than squid by having cuttlebone. 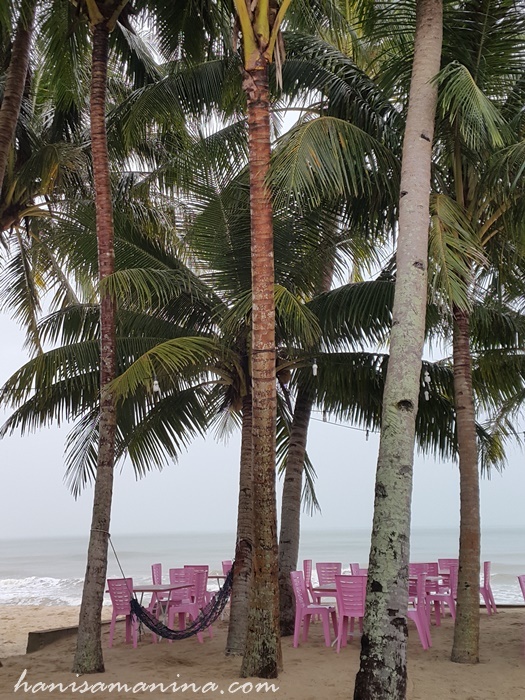 Before heading out of Kelantan, my mum mentioned she would love to see Pantai Senok (hehe maybe because I showed her pictures of the beach, especially the beautiful trees that people said to look similar to Nami Island). Yeah, we went there, but seemed like the weather was really bad even there were signs of flood. 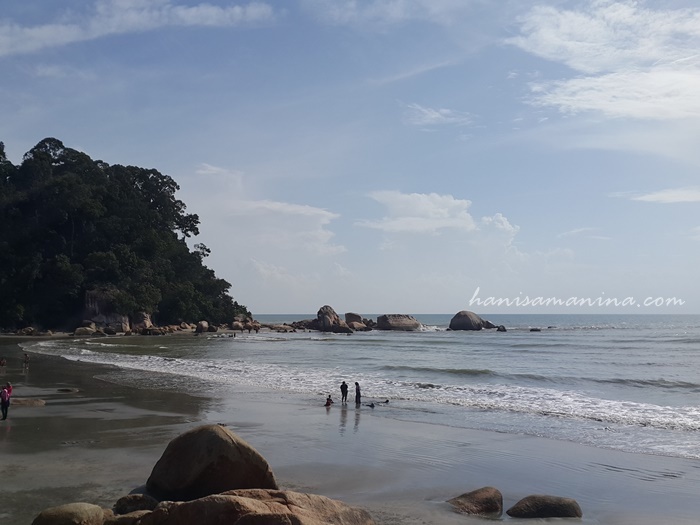 So, from Pantai Senok we drove to our next destination - Kuala Terengganu. It was my first time to try coconut shake (I think), the taste was a bit weird but... okaylah as long as it is edible, I don't have any problem with it. 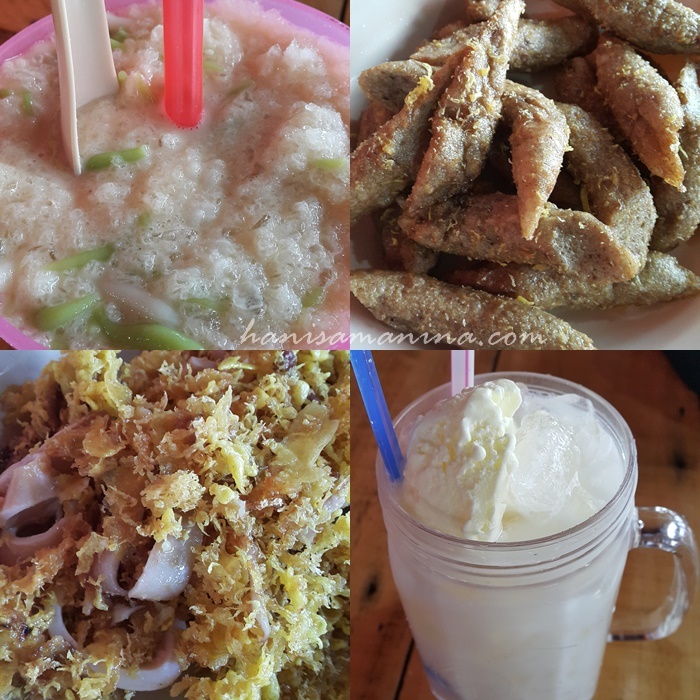 Cendol, keropok lekor, sotong goreng tepung, coconut shake. 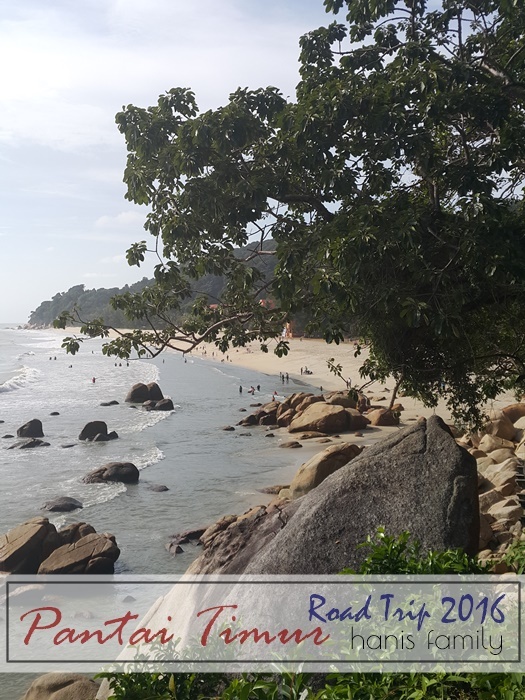 Arrived in KT about Maghrib, we checked in to one of beach resorts close to Batu Burok. Honestly, the last time I went to Batu Burok was like 2002 (maybe) and I think I bought a big kite that time. We had dinner at a random restaurant as the one that we aimed for was busy and there was no empty seats, people were queuing as well. After that, my dad drove us around the city. He used to have lots of teaching and administration courses there. Well, both my parents are teachers and as you know Terengganu is always one of the best states in Malaysia for any exams... that's the main reason I think why most of education courses he attended were held here. Isn't it lovely? It reminded me to the mermaid in TLOTBS at that time. 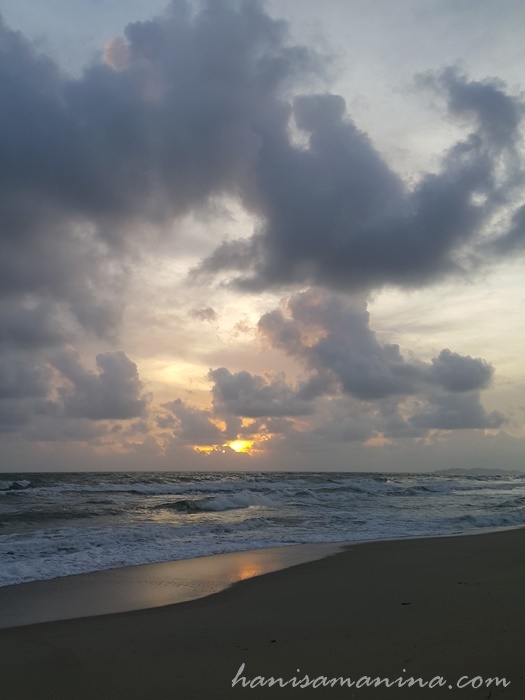 Since our room was just like 100 meters away from the beach, watching sunrise was the first thing to do after Subuh prayer. We are Kdramas buddies hahaha, I slowed down a bit when I went to Czech because despite the high-speed Internet, watching dramas consume a lot of time and emotion to wait for the next 2 episodes which can be watch after at least 6 days. 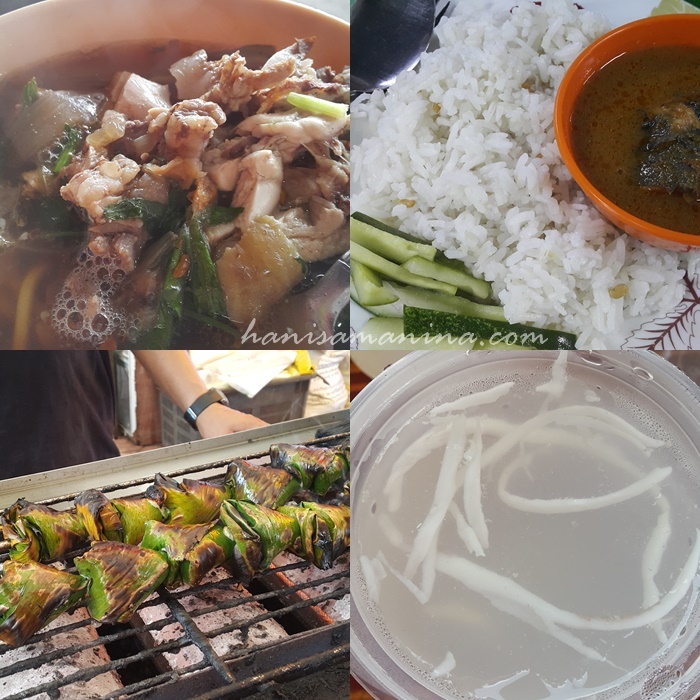 We had breakfast at Pasar Payang (the concept of this market looks kind of similar to Pasar Siti Khadijah) and keropok kering here was sold at cheaper price! One of my parents' attitude (and most of us insyAllah) that I think I should follow is buying souvenirs for other people. Usually my parents will buy something for their big families and our neighbours. Since Masjid Kristal is famous for the architecture and I have not been here before, my dad drove us here. In the praying area, I can see exhibition area about the history of Masjid Kristal. That time, I just knew the mosque was actually planned to be built with gold. 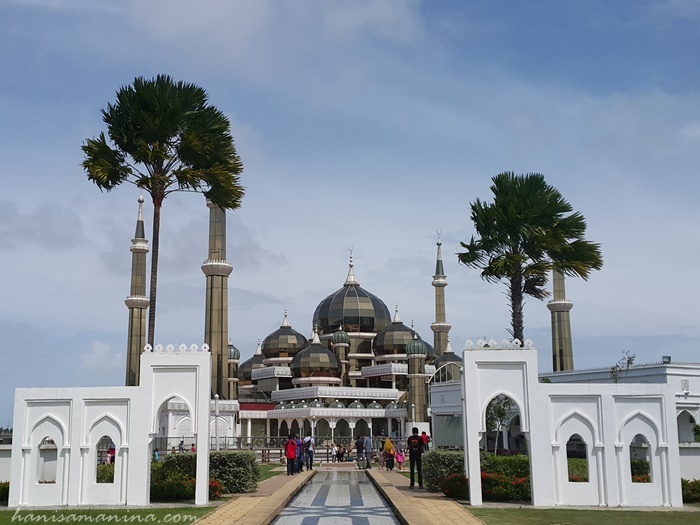 But there are many other mosques in this world using the same material so the designer changed it to glass with crystal's effects. Later in the evening after another round of keropok lekor haha, we continued our journey to the next city, Kuantan. It was my first time in Kuantan anyway. I am not sure when was the Lebuh Raya Pantai Timur built, but our GPS was so out-dated. 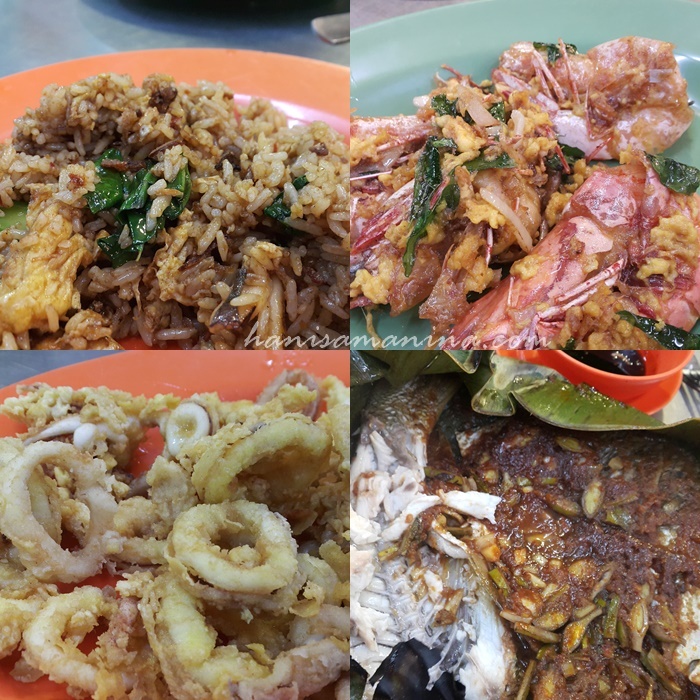 Fried rice, buttered prawn, sotong tepung, ikan bakar petai (siakap ke entah?). They were tasty, but I am not sure worth the money or not. Hehe. The next morning before checking out, we headed to Teluk Chempedak. 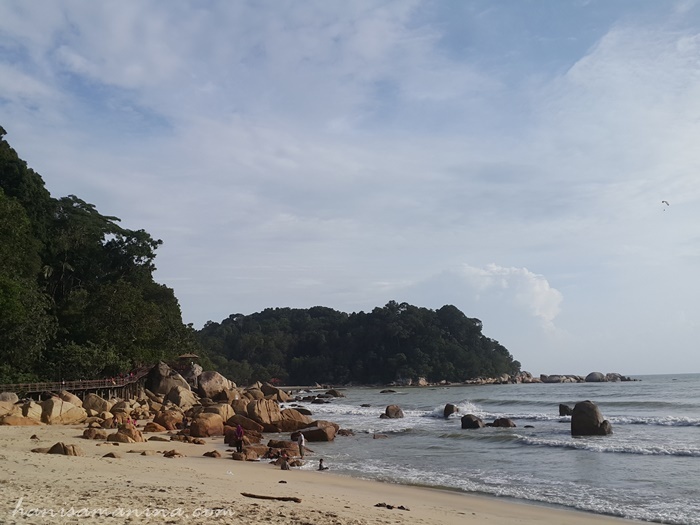 It was the best beach among the five that I've been to when I was in Pantai Timur! It was much more clean as well! 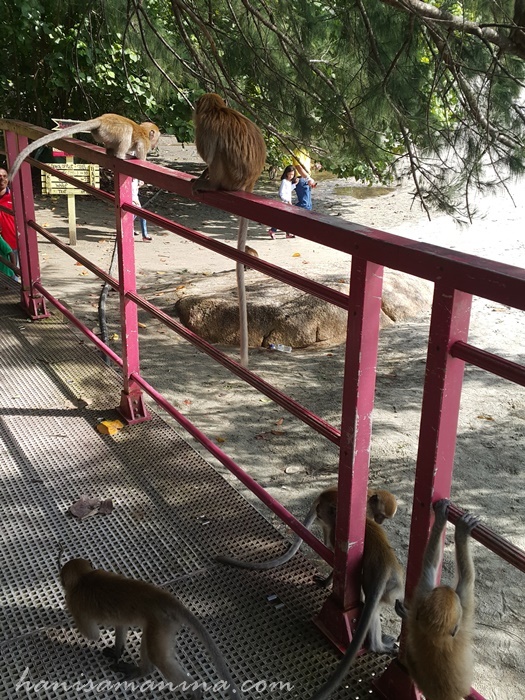 Had breakfast there and we went on a walk along the wooden bridge as you can see in the picture below. Would love to be there again. My family used to call these makhluk Allah as my friends. Haih! On our way back to Perak, we stopped by RnR Temerloh for lunch and I had ikan patin for myself. In my family, my late abanglong and I are the only one who eat ikan patin T_T I just knew there are two types of ikan patin - buah & sangkar. Maybe someone can tell me the difference? That marked the end on my family's Pantai Timur Road Trip. My family's trips are always like this, random plans. We don't expect much for the trip but to treasure the fact that we are together. 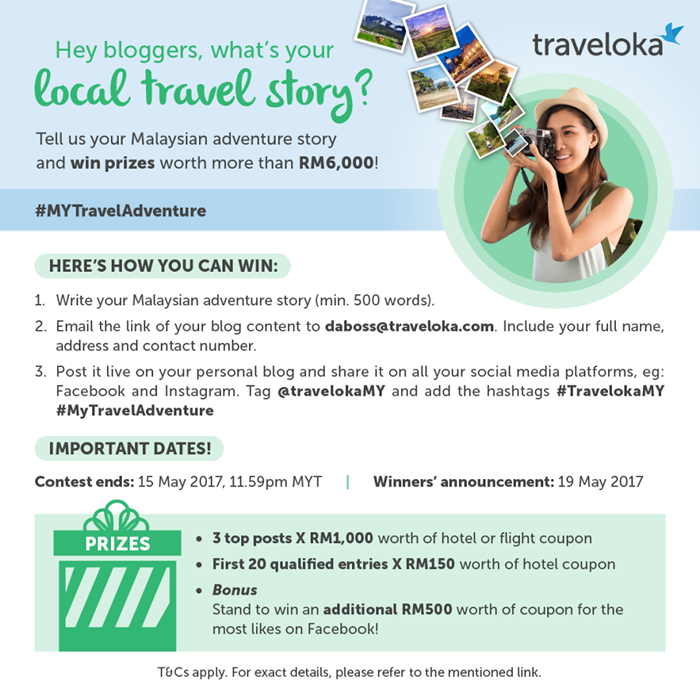 Anyway, this post is finally published after I saw a Traveloka's contest poster. Not expecting much to win or whatever, but I took this chance to not letting my post in the draft for another monthssss. I've been missing beaches a lot after reading Siqah & Nadia's posts. Haha. I may not be tagging anyone else, just I would love to share more about myself (lol, that confidence) by answering these questions from lovely Fatin and Eyja. Depends on my mood. Haha. I am not that picky with food. Sometimes I love savory more. Once a while, I have a sweet tooth when it comes to cakes, cookies etc. But wait, baking does not include roasting right? Even though both of them use oven to get to the final form of meal? I am cooking or baking to live. Not as much as I enjoy doing outdoor activities. I am very bad in estimating the salt and sugar. If I cook for myself, no salt and sugar for me but I can still enjoy the meal. :) Obviously it would not be okay to serve people. Allah knows how nervous I am when I need to put spoons of sugar or salt into the dishes. My housemate is always my life saver for this. When I wake up for Fajr. :) It is going to be tough during Ramadhan though... Fajr will be at 3am. I wrote a post on this, not five but ten instead. Hehe. These are few books that I reviewed in this blog, not that much though. Haha can't think of any specific one but personally I love strong characters like Mulan and the latest one, Moana. Have you guys watched Inside Out? It is a very good movie from my perspective! It is hard to decide specific titles for this question. But, I love anything that I can relate to myself and self-reflect. 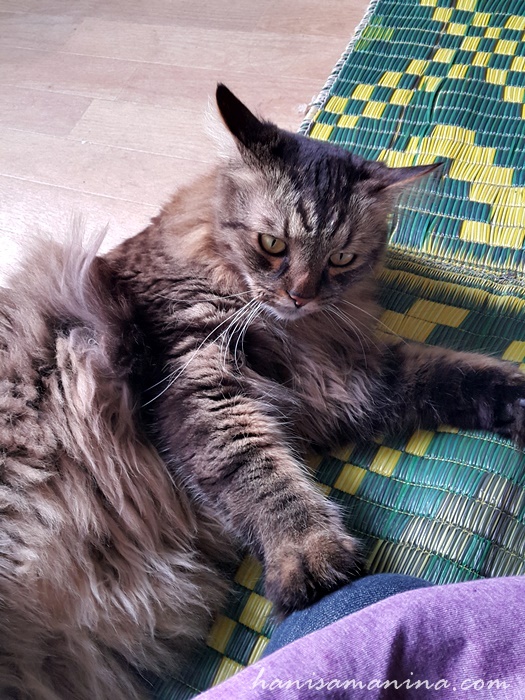 We have Atan here in Czech and I have few cats at my house in Perak. They are not really pets that I kept in the house, but they are always there - for food, for shelter. My dad even took them to the veterinarian if they got sick. Absolutely yes. I would love to analyse the new dimensions and return with ideas on how to live life in different, interesting ways. Be yourself, in a good way. I used to love pink so much that few years later I avoid myself from buying pink stuffs but sometimes I still ended up with pink. 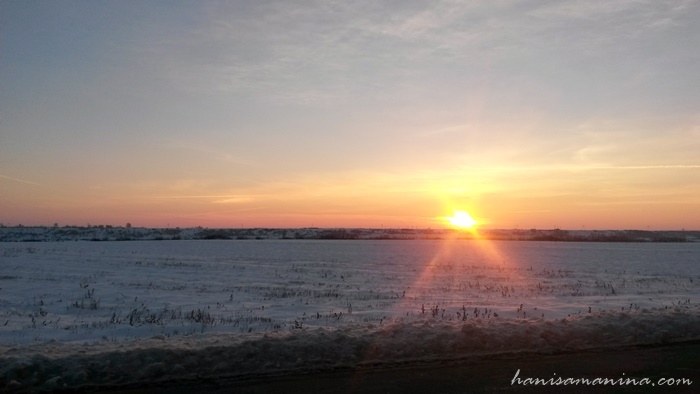 I can't help to choose my most favourite color but I have this calm feeling with white and all kinds of earth colors. HAHA tricky question! First of all, this question asks about the real bridesmaids who will wear similar cloth among themselves, right? And usually they are friends of the bride, right? I lived in few places and I have friends that I am close to and still contact each other, but... to choose less than 10 (how many actually?) among them is a very hard task for me. Just, I will definitely more than happy to have you on my wedding day, okay girls? Or if not, prayers for my marriage will be more than enough. AHAHAHA. I don't have exact plan yet for this. May Allah ease the way towards marriage first, insyAllah. 6. Your favorite color is/are..
15th August. I was actually bounded to go to India for my degree. I've imagined how interesting it will be to have my birthday on the Independence Day of India. Holiday, guys! 8. Close your eyes... What do you think of? My family and I can't wait to meet them. Very soon. 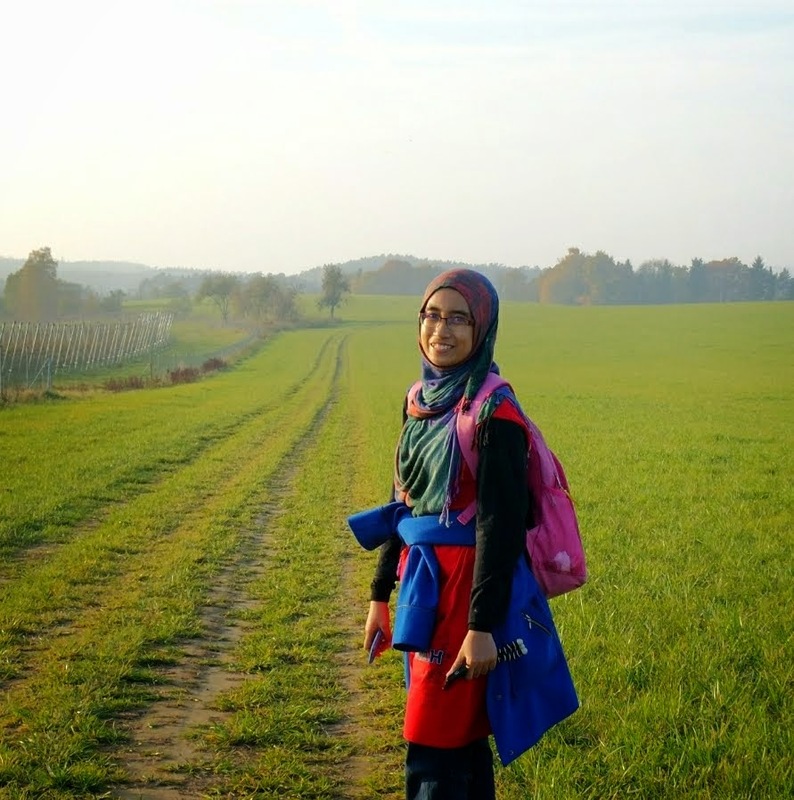 Going back to Czech for 3rd semester.. 2012 I think. Surviving exams and one more to go. The last one before going back for good. Doakan ye. 10. 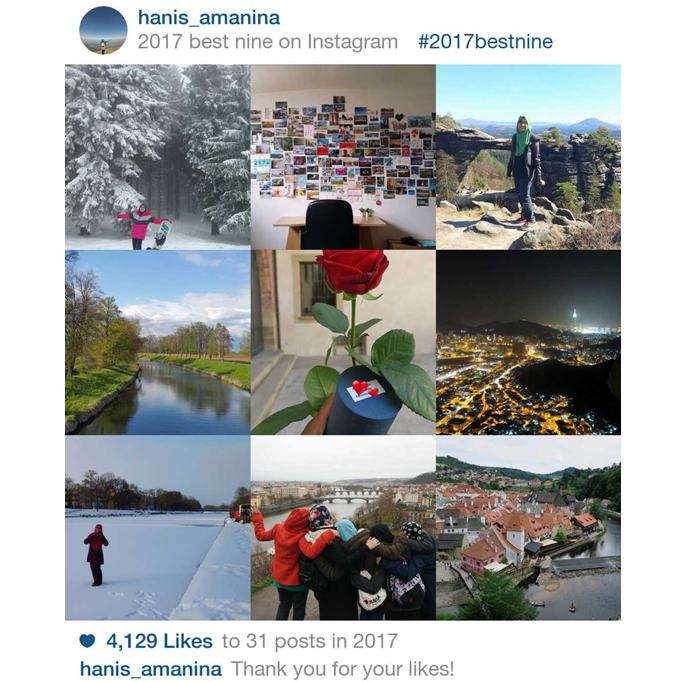 Why you choose to be a blogger? To share my experience and to help me appreciate all things that happen in my life. 11. Be honest... Do you like my blog? Why? I am avoiding cafes these days. Haha the main reason is to save some money and obviously the next one is sometimes I can't help myself with the temptation of sweet stuffs they have! In previous post, I think I shared that one of my great achievements is when I can cook or bake something for the very first time and it turns out to be good. Anyway, I would love to recommend my friend who is definitely talented in baking and she has created lots of beautiful cakes. 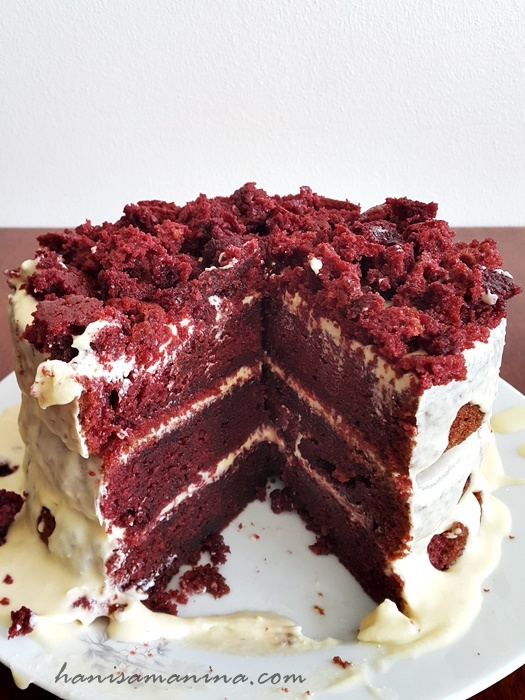 And ehemmm, actually the recipe for this red velvet cake is from her as well. Well, can you imagine, for someone like me who is honestly not that good with cooking and baking can make a delicious cake like this... of course, the real owner of the recipe can make it more marvelous! 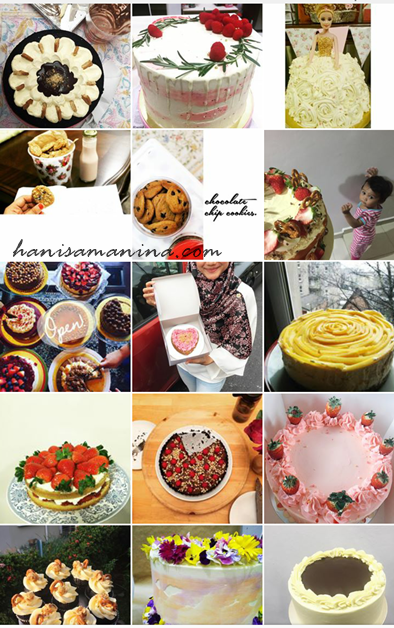 If you would like to order cakes made by her, you can contact her Instagram shop... maybe for any events or occasions or just simply enjoy the cake together with friends and family members. 1. How to make orders? You can just DM her on Instagram. It is better if you can order 2 weeks earlier as she's working as well. 2. What kind of cakes does she bake? 3. How much is the cake? Basically the whole cake is approximately RM70-80, depends on types of cakes and fillings. 4. Which areas in Malaysia does she cover? Well, mostly around KL, Bangi, Shah Alam etc. 5. Do we need to self pick-up or any delivery included? Either. She can deliver to you but depends on the time and usually the delivery charge is already included in the price. The best part of road trip... stamps on the passport! We left Istanbul, still with no idea how the highways in Turkey work (I mean how to pay the toll). 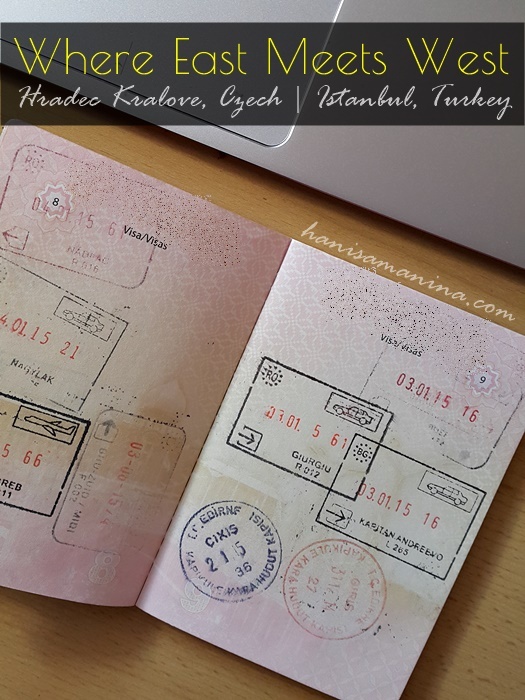 Although we had few challenges entering Turkey, alhamdulillah the return journey was okay. Custom officers let us go without any inspections. Well, they already have all data in the systems, why should they stop us at the border... we were leaving anyway. Resting at the R&R, have I told you that most petrol stations provide free WiFi? 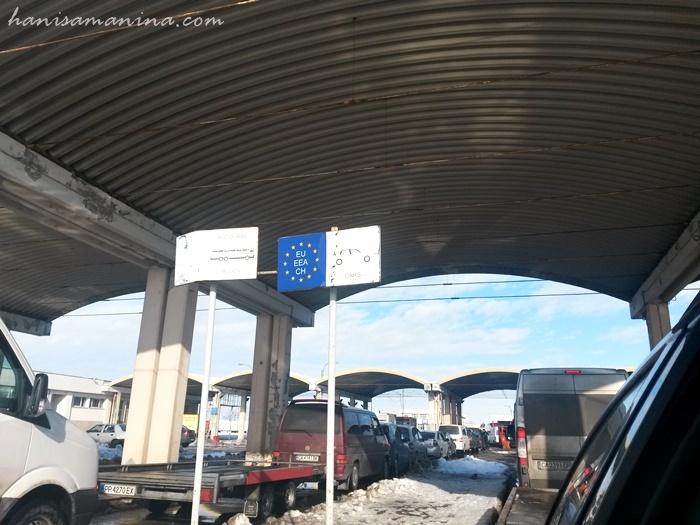 Just, the funny part of entering Bulgaria at this border point (Turkey-Bulgaria) was when we need to get our car disinfected. I was not sure for what reason but after returning home, I found out it was for Food & Mouth Disease (FMD). Hmm, but still... why to the car? Entering Romania again, via Giurgiu-Rousse Friendship Bridge. 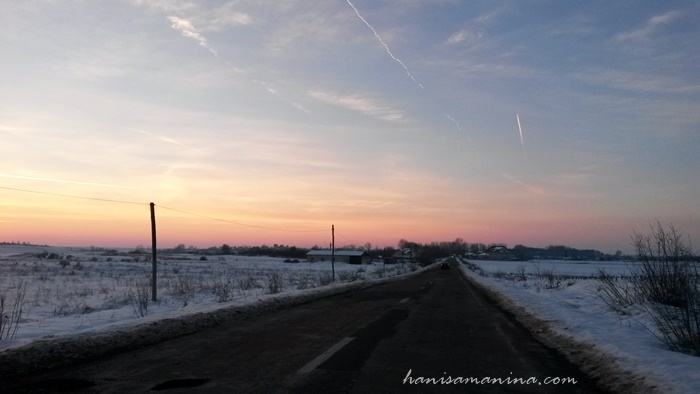 Romania was very beautiful, especially at the countryside. Unfortunately, we always driving through this country when it was approaching night time. Mountains along the way, lakes as well (we could just see reflections of moon on the water). Just, there were not much of highways, so, expect to drive on one lane road for each direction. The bad part was, the extra tire was in the boot... with all our stuffs ON TOP OF IT. Imagine the situation when we need to unload our stuffs to take the extra tire and all equipment needed. I still remember it was very cold! The car queue at the customs was quite long, so the driver (I am not sure was it me or Azila) tried her best to keep awake. Suddenly someone honked at us. It woke everyone up to see there was no more queue there! 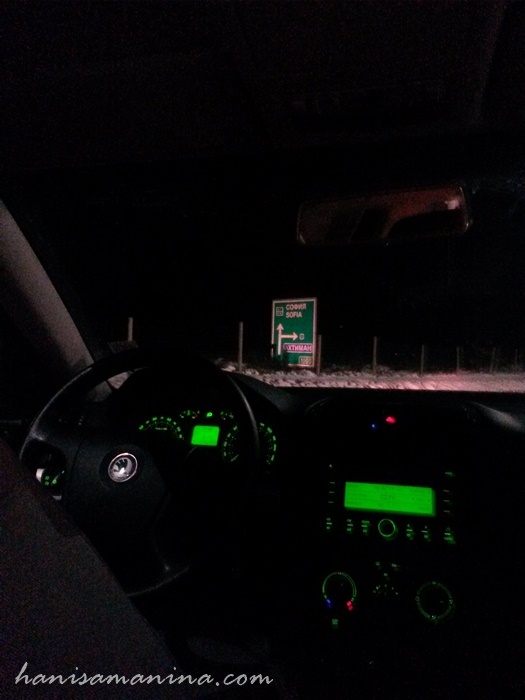 Our car was in the middle of the road in front of customs and everyone was asleep! Arrived Budapest early morning, I think just before sunrise. If you are wondering where did we pray along the journey... sometimes we took turn to pray outside at the petrol stations, but when it was really cold we prayed in the car. We parked the car somewhere close to the funicular and walked around the city. I will not share much about Budapest in this post, as I have been there before... in 2012. View of Chain Bridge from the funicular. We had our lunch at a seafood restaurant in Pest. Make sure it is NOT parking area for residents. For most buildings in Europe, there are flats on the first floor upwards so some people already pay for their own parking spots (just avoid the spots with plate numbers). Make sure your valuable items are stored safely, even it is just the GPS. This map marks the end of my road trip travelogue with my amazing friends. Really, if we want to get to know someone, travel together. We will see how we react through thick and thin of the trip. Yes, I have LOTSSS of weaknesses / bad habits / annoying attitudes that I only realized after travelling with other people. But, I am trying to clean my draft by publishing any posts that look complete (haha maybe). 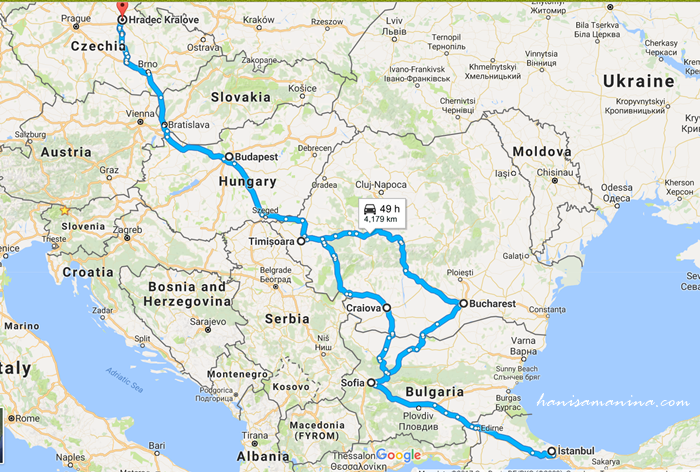 So, here you go... a continuation of our very first road trip from Hradec Kralove, Czech to Istanbul, Turkey with a total journey of approximately 4000km. The journey covers many countries, roughly the routes were like this. It was from January 2015 though. 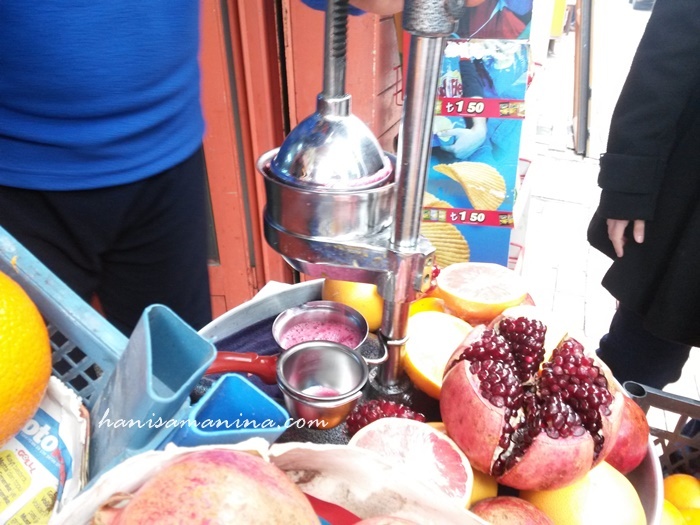 The 2nd day in Istanbul was smooth :) The day started with freshly squeezed juices - pomegranate and orange. This squeezer was sold in many markets around here, so if you would love to buy one, just ask around. Since we were going to leave Istanbul that night, we need to check out from the apartment. We discussed on how were we going to spend the day - either walking, or by public transportation or by car. If by car, where should we park it? Fortunately, the owner of the apartment allowed us to keep our stuffs there while we can just explore Istanbul without having to worry about our bags. About the car, after checking its safety, 2 Turkish men ensured us that we didn't need for the parking, although it was already 2nd of January. Alhamdulillah. 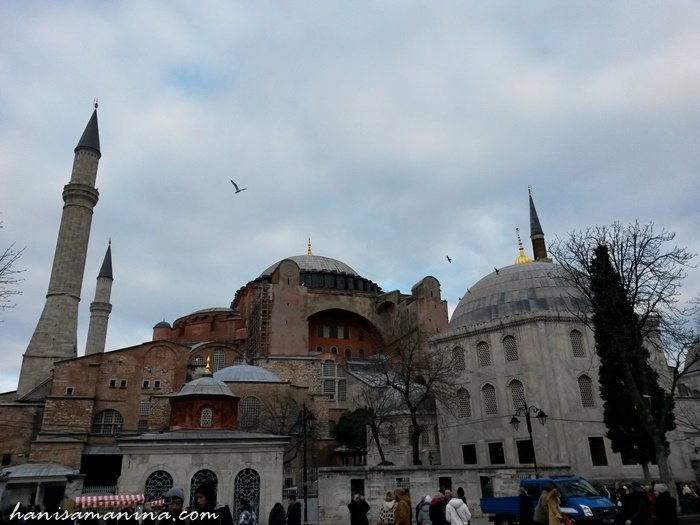 On our way to the next attraction (Hagia Sophia), we once again walked passing Blue Mosque and Hippodrome of Constantinople. Hippodrome - Sultan Ahmet Square. As we all know, before Istanbul this city is known as Constantinople (during Roman Empire). It functioned as capital city at that time, also as the center of the world. The Hippodrome is basically an area for horse racing between political parties that day. In the square, you can see quite a number of statues or monuments - preserved for history. Most of them were brought to this Hippodrome to introduce Constantinople as a capital city. Serpent Column - the significant of this monument is the victory of Greeks in Persian Wars. It was originally located in Delphi, Greece. Obelisk of Thutmose - this one was from Egypt and brought to Hippodrome by another emperor. It weighed about 200 tonnes and I heard they took about 21 days to lift it up! German Fountain - it was built to acknowledge the visit of German Emperor to Istanbul. It was brought from German by pieces was a source of water for the people, that is why we can see water taps there. It is still functioning but my tour guide said it is not drinkable. Visitors can also see signatures between Germany and Turkey at the fountain. 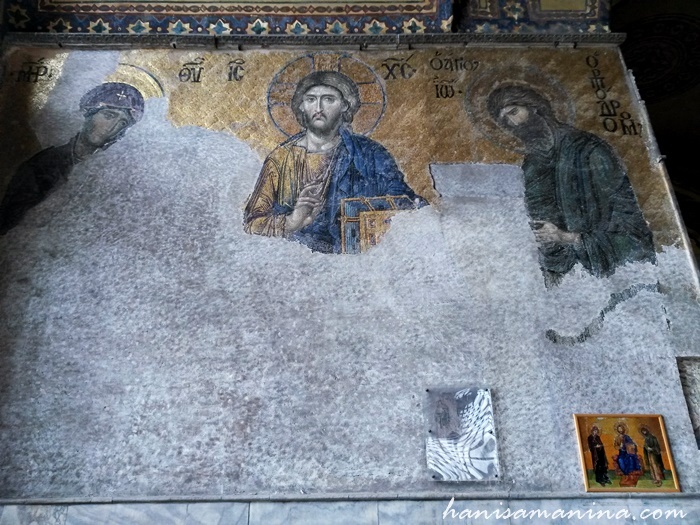 Okay, let's continue with Hagia Sophia. Hagia / haya means divine, while Sofia means intelligence. This Greek name simply means goddess of intelligence. The first construction was when Christian conquered this city, then took over by Ottoman Empire. The drawing of Mary in the middle. When Islam came, Muslims covered most drawings on the wall with plasters to avoid Muslims from worshiping the statues. But, after this place was decided to be opened to public, workers currently are still on their way to uncover back to show to people the beauty of this place, as a museum. It was opened to public in 1985. Islamic style on the wooden wall. 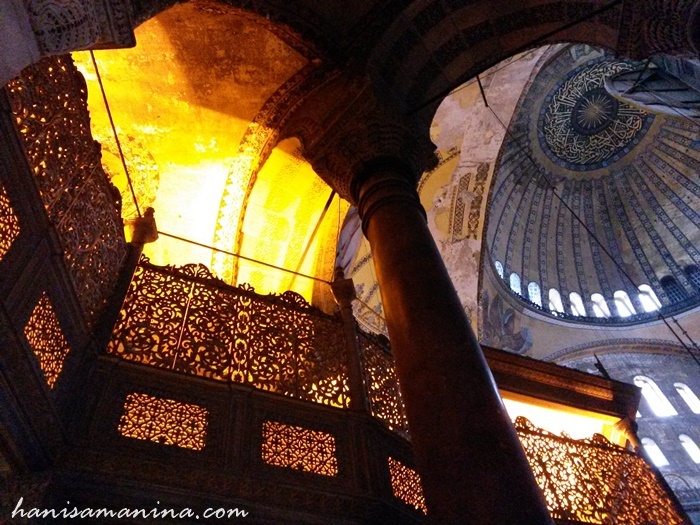 In Hagia Sophia, we can see this building is facing Jerusalem. So, a mihrab was built to face Makkah instead. 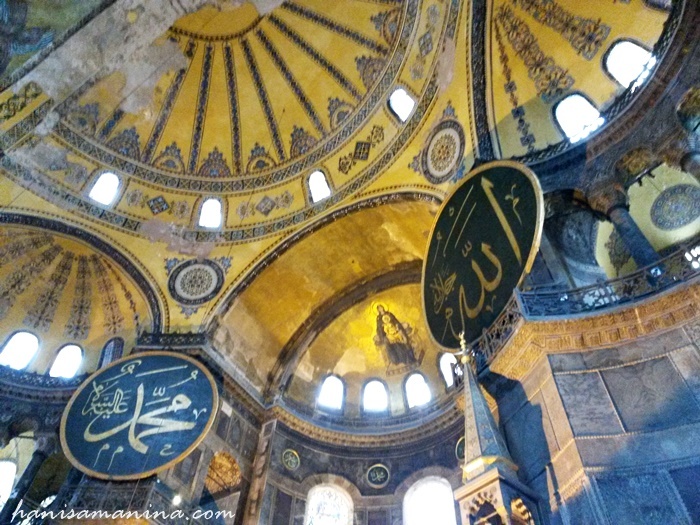 If you have been here, you can see the name Allah, Muhammad, the 4 caliphs, Hasan and Husin hanged on the wall. They were made in Hagia Sophia itself as the sizes were too big. I am not sure about this wall. Done with Hagia Sophia, we went for lunch, so hungry! We didn't really check beforehand about places to eat. So, while walking towards Spice Bazaar (I think), we just chose any restaurant that looked interesting. It served dishes like this. 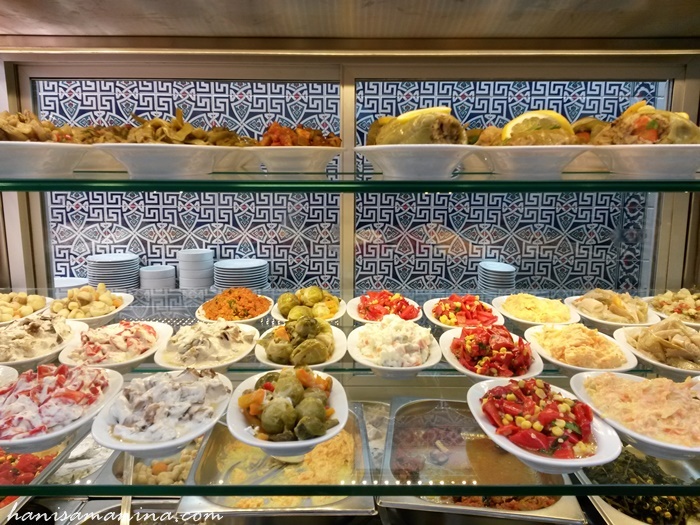 You can choose any cooked meal you want. 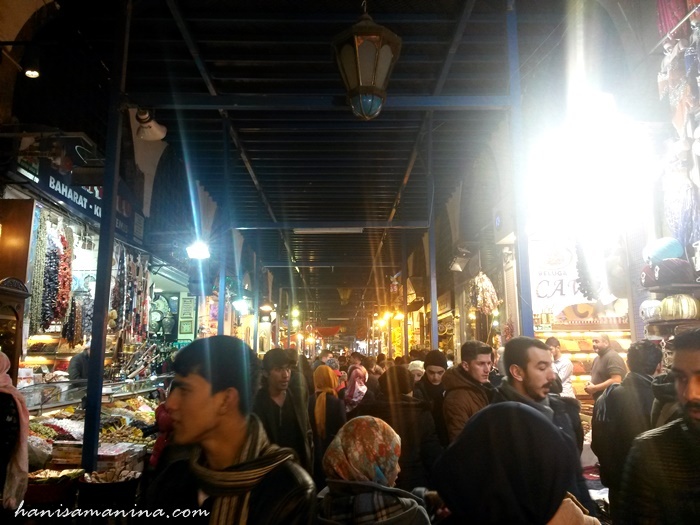 Spice Bazaar. 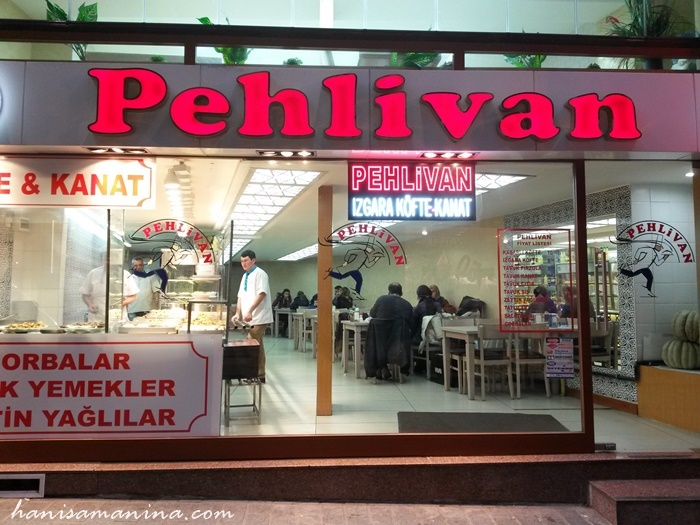 I hope I remember correctly, a bit confused if we went to this one or Grand Bazaar. Finally, it was time to leave. 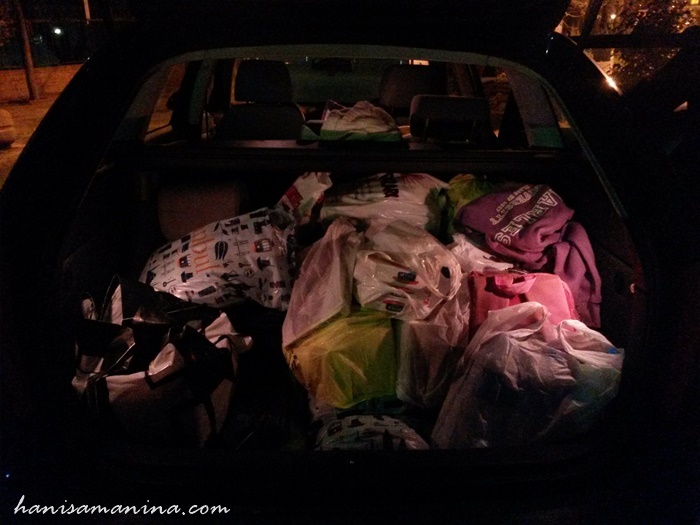 We returned to the apartment to take our luggage and reorganize stuffs in the car. I think I have shared the video for this road trip somewhere in this blog. But, never mind, since this was one of our greatest life achievement, let me embedded it once again. 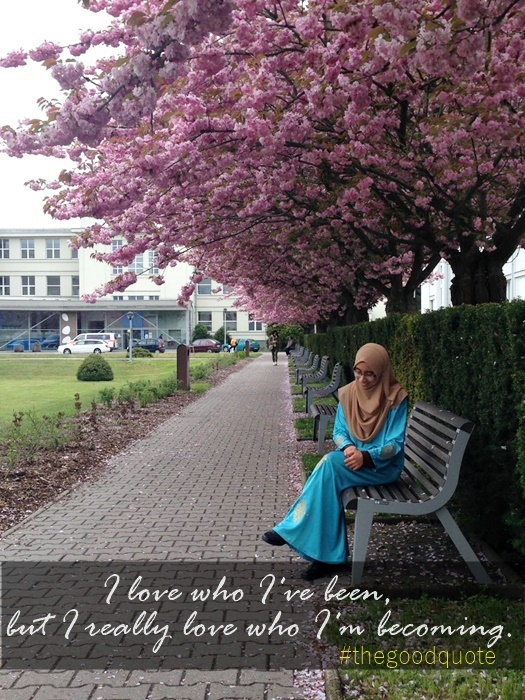 Thanks Maryam for this beautiful video! p/s - one more post and I think I am done with WEMW roadtrip. Yeay! Other than International Labour Day, Czechs celebrate love on 1st of May. Wow, I totally have no idea that Czech has so many traditions and actually I am not sure if people really celebrate today as Day of Love. But, from what I read, the Day of Love in Czech was introduced earlier than the famous Valentine's Day. This country is a bit beyond our imagination and Malaysians always remember it as Czechoslovakia (still) in which they have peacefully separated on 1st January 1993. Okay, back to the topic. In Czech, there is a romantic poet named Karel Hynek Mácha who wrote Máj (May), a famous poem among Czechs. This one is the English translation anyway. There are few customs / traditions / events on this day that MAYBE some Czechs still do them. 2. Lovers will kiss under a blooming cherry tree or birch. But the legend is a bit awkward to think about... that if a girl is not kissed, she will wither and die in twelve months. HAHA. Many people survived I guess. 3. Some villagers erect maypoles and they need to protect the maypoles from being stolen by other neighborhoods' villagers. This is my first time to come across the word 'maypoles'. Well, I am sharing this here not because I believe or I celebrate it, just for general knowledge yea. Anyway, happy holiday today!